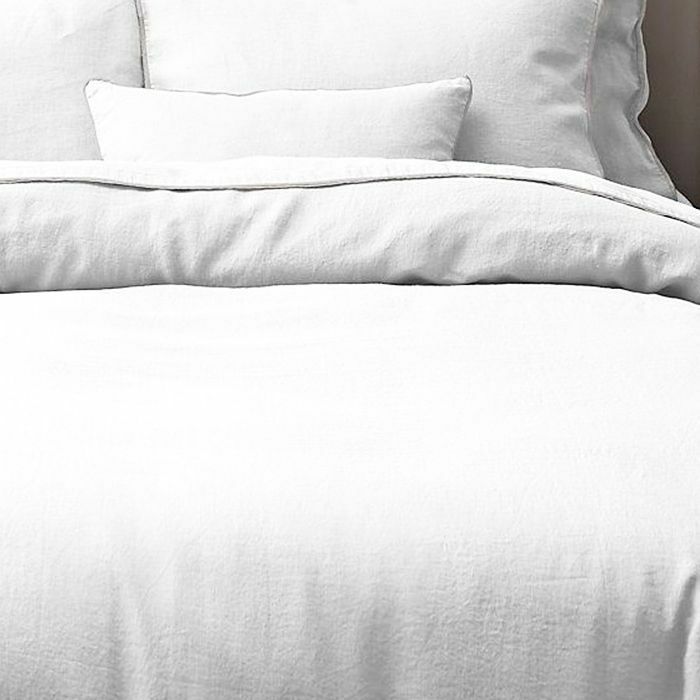 There is no better way to make a bed look more inviting than throwing on a set of crisp white bedding. After all, isn’t that why hotels do it? Shop seven of the best sets below, and prepare to linger in bed a little longer each morning. You won’t want to leave this behind. 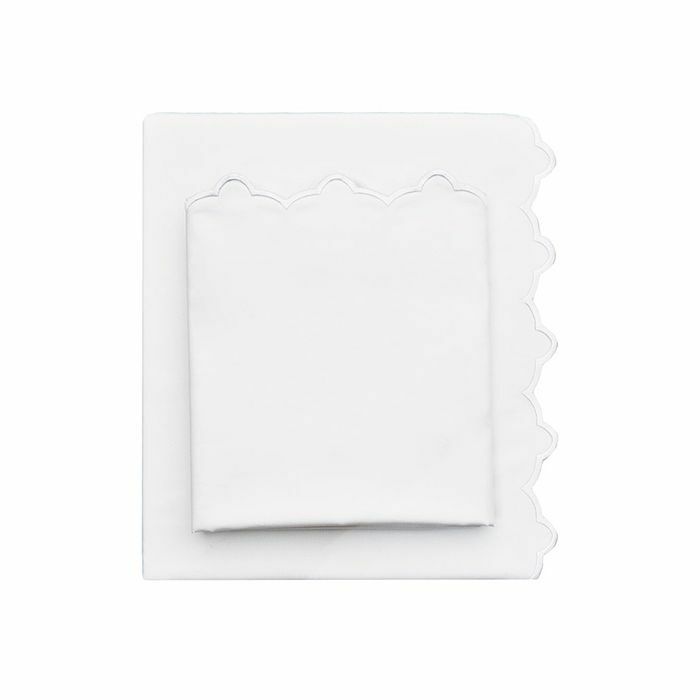 The seashell-inspired pattern on the edge of these 400-thread-count cotton sateen sheets, gives a traditional touch to basic bedding. Bedding from Matouk is a game-changer. Though the brand’s quality is unparalleled, the prices can come with a case of sticker shock. This basic collection, and its price point, is a beautiful way to be introduced to the brand. 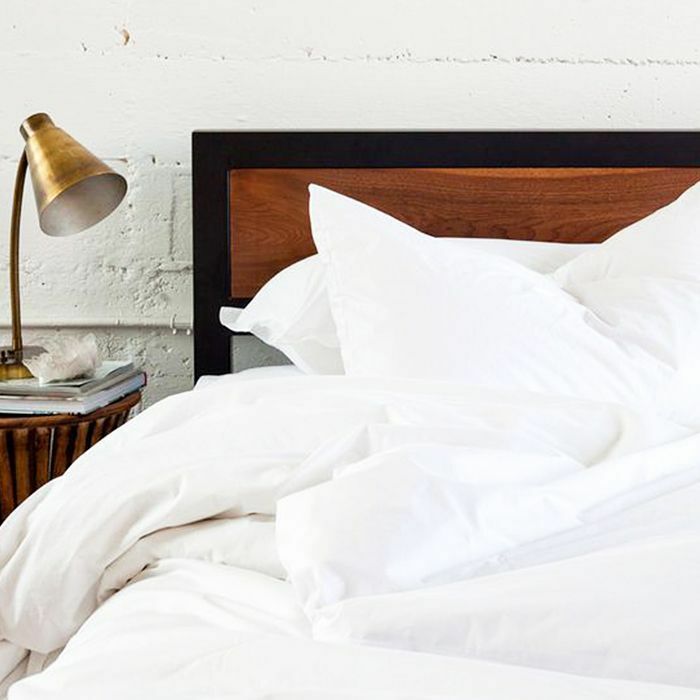 After this Belgian linen duvet cover is stonewashed and tumble-dried, it’s the softest and most casual option for your bed. 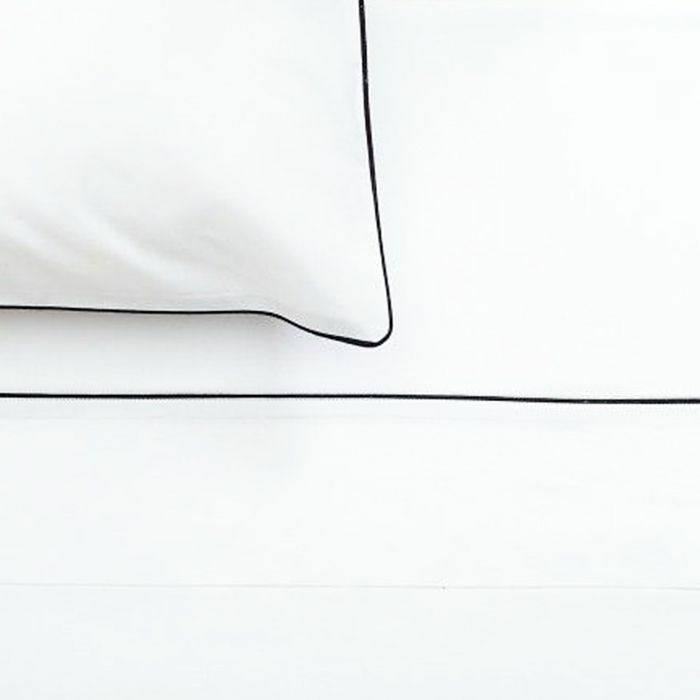 The black piping on this Italian percale bedding gives it a tailored look only found in five-star hotels. For those that need some glamour in their bedroom, fluff up this cotton duvet featuring embroidered silver stitching. 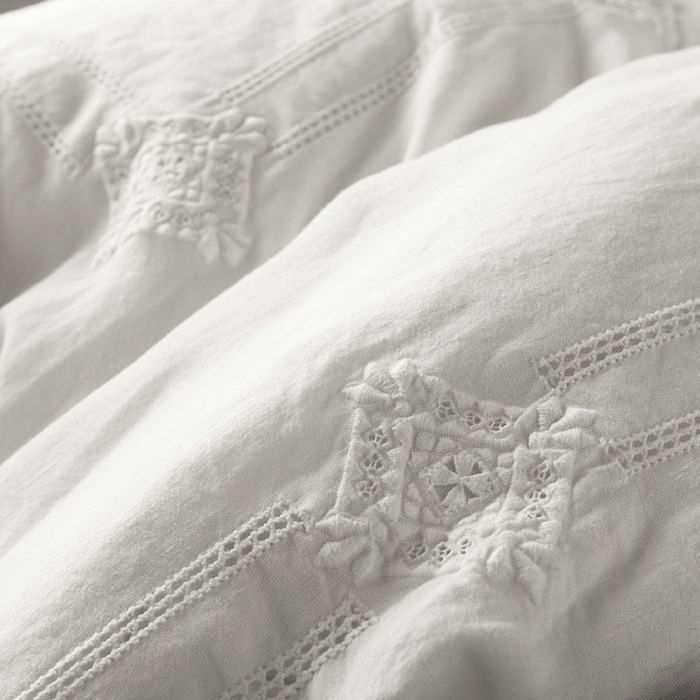 Vintage linen fabric comes together with hand-embroidered details to make some truly dreamy bedding. 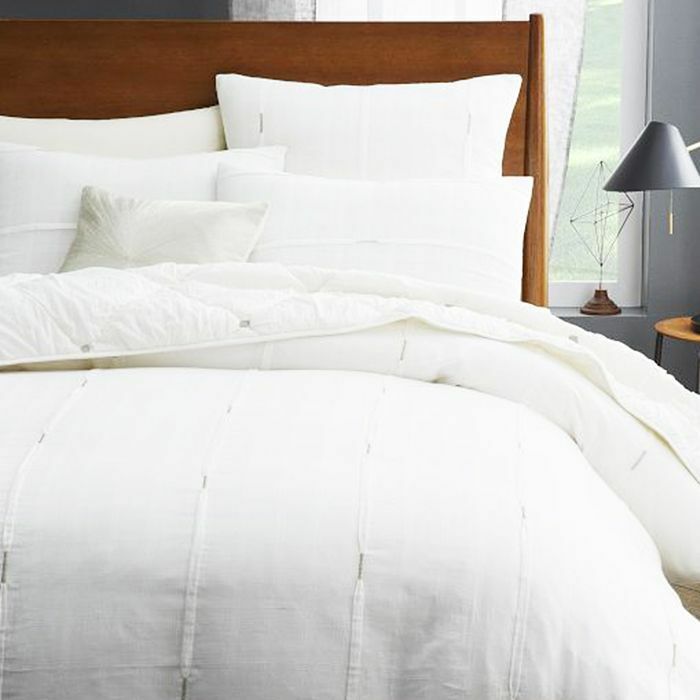 If you’re looking for an all-encompassing white bed set, look no further. 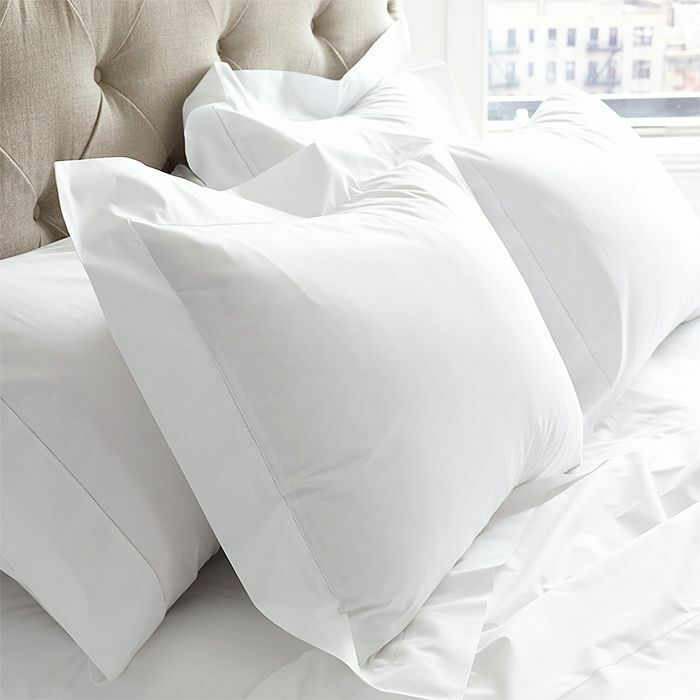 This set includes a fitted sheet, duvet cover, and two pillowcases (Parachute believes in forgoing the flat sheet).